The Kidney Foundation of Ohio Gala was held on Saturday, February 9 at the Cleveland Marriott Downtown from Guests enjoyed an evening of hors d’oeuvres, cocktails, dinner, live entertainment, and silent and live auctions. 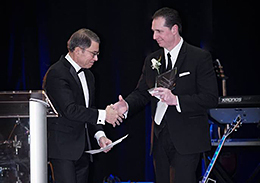 Dr. Ronald Flauto was presented the 2019 Person of the Year award and The Robert J. Wazbinski Family received the Legacy Award. The event raised $164,000 for the Foundation. Thank you to all of the sponsors, donors, guests and volunteers who helped make the event possible! 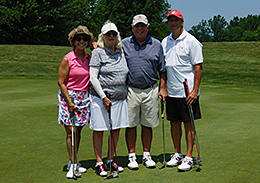 The annual Golf Outing will be held on Monday, June 10 at the Legacy Course at Sweetbriar Golf Club in Avon Lake in memory of Dennis Kennedy, who worked as the Director of Technical Services for Centers for Dialysis Care (CDC). Dennis started a golf outing for CDC employees and dreamed of one day golfing at Pebble Beach until his passing in 1996. His coworkers decided not only to memorialize Dennis by continuing the golf outing, but also turn it into a fundraiser for his second love, kidney patients. 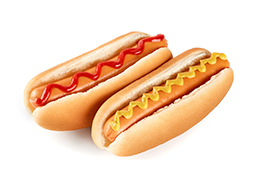 Golfers will enjoy 18-holes of golf, beverages, heavy hors d'oeuvres and a program. Prizes will be awarded to the winning teams and competition winners. The Christmas in July themed event will be held on Thursday, July 25 from 6:00-10:00pm at Music Box Supper Club. 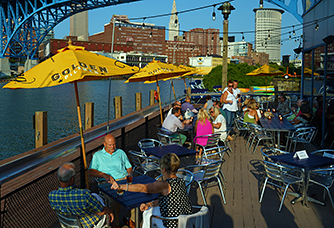 The fundraiser will feature dinner, drinks, live entertainment from The PopTarts, Holiday-themed activities, raffles, silent auction, and beautiful views of Cleveland. Let us know you’re coming on Facebook! 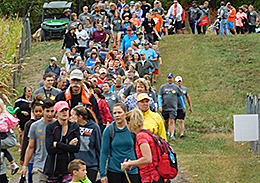 The Harvest Walk & 5K was held at Mapleside Farms on October 7, 2018. It featured a one-mile walk and 5K run to raise awareness and funds for individuals impacted by kidney disease. More than 450 people attended the event, where we raised over $45,000 for the Foundation’s direct assistance programs. The Kidney Foundation of Ohio’s Summit County Chapter hosted their Reverse Raffle on Thursday, February 28 at Getaway Pub in Akron. Guests enjoyed food, beverages, contests and prizes to benefit the Foundation’s Summit County Chapter. 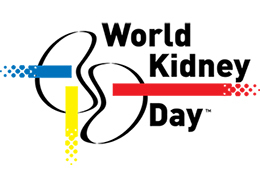 The Kidney Foundation of Ohio hosted a free, community event in honor of World Kidney Day on Thursday, March 14 at the YWCA Greater Cleveland. Event attendees enjoyed lunch, massages, chair yoga, discussion about kidney health, and visited with local health organizations. View Pictures from the Event. 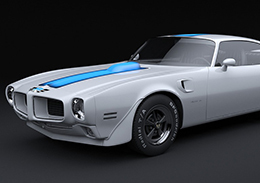 Thank you to everyone who participated in the Summit County Chapter’s 5th Annual Car Show. Over 300 muscle, classic, exotic, and a Ferrari showcase were out on display. Contact Annette Fetter at (216) 771-2700 or afetter@kfohio.org for more information on events or to start one in your community.